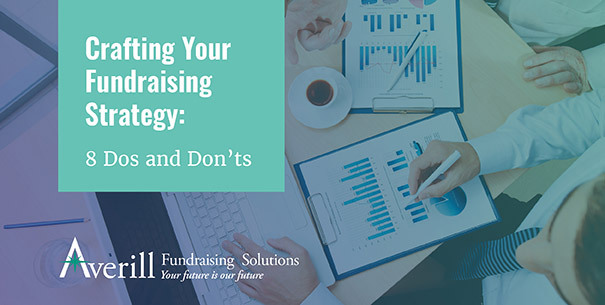 No matter if your team is planning this year’s annual fund campaign or gearing up for a long capital campaign, you need to start planning your fundraising strategy to ensure your success. Bob Happy from Averill Solutions shares these tips for managing successful fundraising campaigns. DO: Establish a team leader and individual roles. DON’T: Allow team members to fall out of the loop during planning. DO: Write a detailed, actionable plan for your entire campaign. DON’T: Set an arbitrary goal for your fundraising campaign. DO: Conduct a feasibility study during the planning process. DON’T: Ignore board member or stakeholder hesitations. DO: Plan for fighting campaign fatigue and promoting engagement. 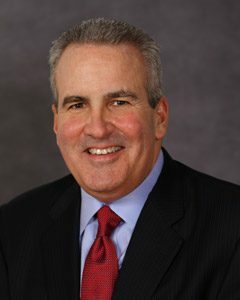 DON’T: Ignore the impact of corporate philanthropy. By implementing these good ideas alongside your nonprofit’s own proven strategies, your next fundraising campaign is sure to be a success. 1. DO: Establish a team leader and individual roles. While the idea of everyone on your team working together seamlessly to bring your fundraising ideas to fruition is a beautiful one, it might be a little out of reach for most nonprofits. Through no fault of their own, your team members will have different ideas of how and when things need to be done. To be sure that your whole team is working on the same schedule and with the same understanding of the plan, assign individual roles during the planning period and choose someone to be the team leader or project manager. This could be as simple as assigning one person to write your case for support and another to conduct prospect research, or as intensive as hiring a major gifts officer to handle that aspect of your campaign. By segmenting your work into manageable categories for one person to focus on and choosing someone organized and punctual to oversee everything, your staff will be sure to move at the same pace, with the same benchmarks in mind. 2. DON’T: Allow team members to fall out of the loop during planning. It’s easy, especially on a bigger team, to let information slip through the cracks. Not everyone can attend or needs to be at every planning meeting. But it’s vital to the success of your campaign that your whole team has a strong understanding of the top level strategies. After meetings, update everyone on the fundraising team about any decisions or changes that might have been made. When everyone has the same knowledge of goals and strategies, they can work more cohesively in every aspect of the campaign. A whiteboard in a central space with any decisions or strategy shifts written on it. A daily internal email with the fundraising strategy attached, any changes highlighted. A daily or weekly meeting at the very beginning of the day to announce any updates, capped at 5 minutes. Your organization probably has systems in place for efficient communication already, so use those techniques to keep everyone in the loop. 3. DO: Write a detailed, actionable plan for your entire campaign. Before your campaign kicks off officially, your team should have written out all the important planning details so that you can reference them as the campaign continues. What are the most important documents to have completed before the campaign starts? A case for support. This document is important to distribute to potential supporters to show them how you’ll put their support to work for your mission. A gift range chart. Knowing the breakdown of your campaign’s needs will guide your fundraising strategy in a more concrete direction. A timeline with KPIs. By knowing when your team should achieve certain Key Performance Indicators, you can better gauge when you’re on track and when you need to reevaluate. Having these documents prepared before the campaign is another great way to ensure that everyone on the fundraising team is on the same page. 4. DON’T: Set an arbitrary goal for your fundraising campaign. Your end goal for your fundraising campaign should not be a number that someone pulls out of a hat. It should be based in previous experience, future plans, and your current amount of community support. What should your campaign goal be based on? Proven fundraising capacity, shown by your success in your previous fundraising efforts. Actual cost of the project you’re fundraising for (an estimate of cost for your capital campaign, a projection of overhead costs for an annual fund campaign, etc). Initial verbal and implied support for the project, demonstrated by major contributors, board members, key stakeholders, etc. If your previous fundraising capacity has been around $200,000, your team won’t want to set your annual fund goal at $2,000,000. Too low of a number makes potential supporters feel uninspired to help, but setting it too high can be a serious misstep. Preparing a reasonable yet inspiring goal for your campaign is the first step in motivating contributors to support your cause. 5. DO: Conduct a feasibility study during the planning process. Conducting a fundraising feasibility study is the perfect way to avoid falling into the pitfalls of arbitrary goal-setting, as well as ensuring that your staff and volunteers are ready for this campaign. A feasibility study is an important part of the strategic planning process. During the study, an unbiased outsider should interview key individuals like board members, major givers, potential givers, and volunteers to gauge what they think about the fundraising campaign as well as their potential level of support during it. A feasibility study will help you set your fundraising goal as well as prepare for any future obstacles. Different campaigns have different planning needs. For instance, read this guide to annual fund appeals from Averill Fundraising Solutions for annual fund-specific suggestions. 6. DON’T: Ignore board member or stakeholder hesitations. Whether you conducted a feasibility study or not, your team still needs the support of the board and other stakeholders to conduct your campaign. Ensure that you have their support before launching your campaign. Also, your feasibility study is only helpful if you pay attention to its findings. If your board members or other valued stakeholders air their doubts to the conductor of the feasibility study, it is crucial that you pay attention to those doubts. Ignoring hesitations may lead to catastrophic obstacles cropping up later in your campaign, and means that the time everyone invested into the feasibility study was wasted. While addressing the issues brought up in the course of the study or before the planning period may prolong your strategic planning period, it will benefit your organization and fundraising campaign in the long run. 7. DO: Plan for fighting campaign fatigue and promoting engagement. Your fundraising strategy should not only focus on stewarding supporters and raising money, but also on maintaining healthy relationships with your staff and volunteers. Especially during longer campaigns, your team may fall victim to burnout or volunteer fatigue, symptoms of which include disengagement, combativeness, lack of productivity, or even a failure to do work or complete assignments. How can you make sure that your team is excited and ready to see the campaign through to the end? Manage hours. Ensure that your team has a healthy work-life balance so that they’re able to come to work ready to go. Watch for signs of fatigue. If you or another team leader notices someone acting unlike themselves, check in with them to see if they’re okay, and head off any problems before they worsen. Celebrate accomplishments. As you hit KPIs, celebrate with your team to recognize their accomplishments, make them feel appreciated, and emphasize the strides made towards your goals. Keeping your team engaged with your mission and goals can help prevent burnout. Have a roundtable discussion about your team’s passions and motivations, or remind them of why they joined the nonprofit. Remaining engaged, balanced, and dedicated to the campaign and your nonprofit’s mission overall is key to fighting campaign fatigue. 8. DON’T: Ignore the impact of corporate philanthropy. When planning your fundraising strategy, don’t forget to look for gifts and support in easy-to-miss places. Nonprofits frequently miss out on the benefits of corporate philanthropy programs just because they don’t know about them, or don’t know how to market these programs to their supporters. One of the most common kinds of corporate philanthropy is matching gift programs. Matching gift programs are policies through which a company provides matched funding after an employee contributes to your cause and submits a matching gift request. The ratio and gift range can vary, but these policies can be incredibly valuable for a nonprofit. When conducting prospect research or engaging with your mid-level supporters, take into account the companies for which these people work. Then ask them to submit matching gift requests to easily maximize the impact of their gift on your fundraising goals. With these 8 dos and don’ts, your nonprofit can prepare a fundraising strategy for any campaign. You’ll be sure to overcome any obstacles and succeed with these best practices in conjunction with your nonprofit’s strategies.